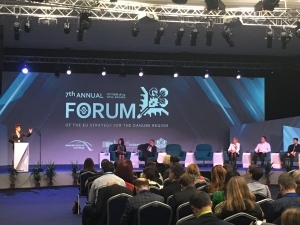 Sofia hosted the 7th EUSDR Annual Forum this year as Bulgaria took over the rotating Presidency for the EU Strategy for the Danube Region. The event attracted more than 900 participants and served as an opportunity for Interreg partners to discuss their vision for the region and showcase the progress of their initiatives. “Never has been such a time that Europeans from East and West worked together on a common good.” said Corina Cretu, European Commissioner for Regional Policy in her opening speech. Cretu praised Bulgaria for putting the Danube Strategy high on their agenda and urged participants to maintain this momentum. The key topics of the Forum this year were the development and conservation of cultural heritage, sustainable tourism and security in public spaces. Stefano Dominioni, Director of European Institute of Cultural Routes mentioned that 68% of Europeans decide their holiday destination based on culture according to Eurobarometer`s research. Other speakers also pointed out the crucial role of culture and advocated for taking advantage of the common cultural heritage the Danube region offers which would also enhance economic development. Selected Interreg partners presented their projects during the panels, with topics ranging from the use of technology in cultural heritage and the arts through developing new cycling infrastructures to participatory urban agriculture. 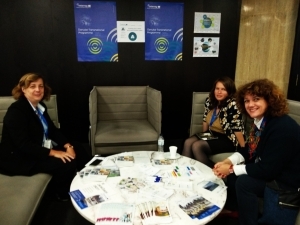 Participants also had a chance to learn more about EDU-LAB and other Interreg projects throughout the event by visiting the thematic DTP meeting corners. Dr. Ágnes Sebestyén, Project Director of EDU-LAB as well as Pole leader of DTP Thematic Pole 9 (Educational Governance) was present at EDU-LAB`s meeting corner to inform participants about capitalization activities within the thematic pole, project achievements and discuss cooperation opportunities with interested visitors.